You might remember that ZTE recently unveiled a budget-oriented handset with dual-SIM LTE connectivity. It is dubbed the Blade S6 and should be available from AliExpress globally for around $250 and also through Amazon and eBay in select markets. Today the Chinese manufacturer put a little twist to the story, announcing two devices for their home market. 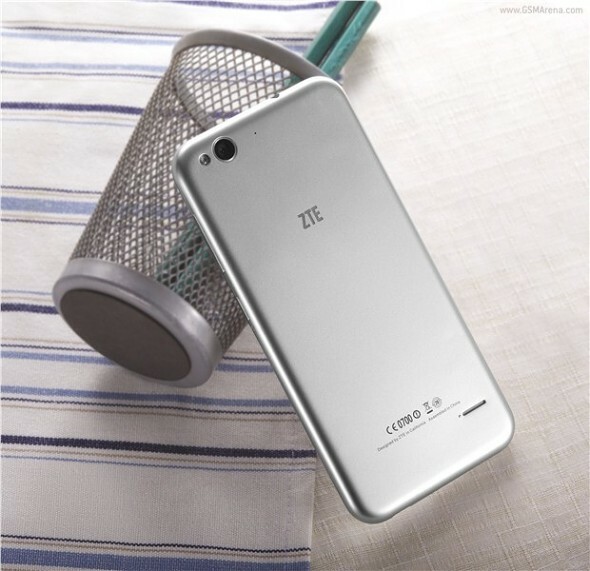 The handset will bear the names ZTE Blade S6 and Blade S6 Lux. While the Lux model is definitely new on the horizon the S6 is essentially a downgraded variant of what we already know of the device, but intended for the local market. The Chinese Blade S6 will essentially get a Snapdragon 410 and slower processors in place of the Snapdragon 615 in the international one as well as a slightly smaller battery. 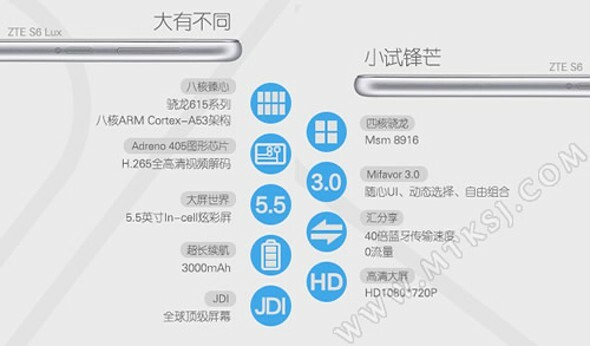 The rest of the specs seem pretty much unchanged, at least on paper, but we expect there will also be a few modifications in terms of mobile bands. The ZTE Blade S6 Lux on the other hand is a hardware improvement on the standard S6. It comes with a 5.5-inch Full HD display, instead of a 5.0-inch HD one and a larger 3000 mAh battery. Other than that the S6 Lux is identical to the international S6 model. They are both powered by an eight-core Snapdragon 615 setup and sport 2GB of RAM and 16GB of onboard storage. Cameras are also the same - 13MP main shooter and 5MP front-facing. And to keep with the design trend of the Blade S6 the new model is also a proper iPhone look-alike. Interestingly enough all of the aforementioned devices will come with Android 5.0 Lollipop out of the box and MiFavor 3.0 UI on top. As far as availability goes all we know for now is that both the S6 and S6 Lux will be available in China. Pricing is quite competitive at CNY 1699 (about $272) and CNY 1999 (about $320), respectively. If you mean pockets, then i do feel for you, as I have a 6.4" Sony Z Ultra and it certainly fits into my pockets, even my shirt pockets so you need to do something urgently. 5.5" is too small for a phone. China and Asia doesn't want small phones. Why do you think Apple made the iPhone 6+ ?